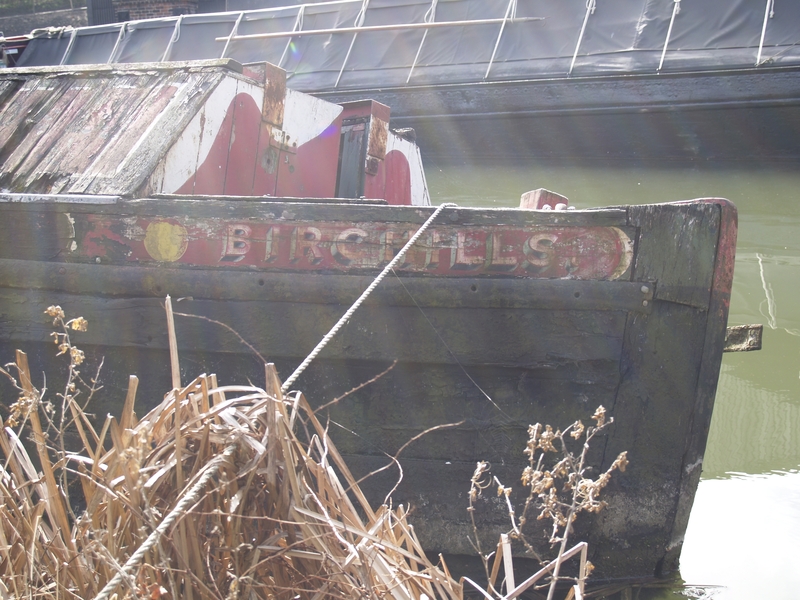 BIRCHILLS was built by Ernest Thomas on his dock at the top of Walsall locks, to the traditional design of a day boat/joey. She was registered on 23 June 1954 at Tipton and worked on the run to Birchills Power Station. When the power station closed, she was sent to Hatherton Junction on the Staffs and Worcs canal, where she was based on the Hatherton Branch, outside E.Thomas' house. This was the last boat built by Ernest Thomas, and almost the last joey built (a few more were built at Ken Keay's dock on the Wyrley and Essington Canal, about a mile away). It is the only surviving joey with a day cabin, and may be the only surviving wooden joey still capable of floating.